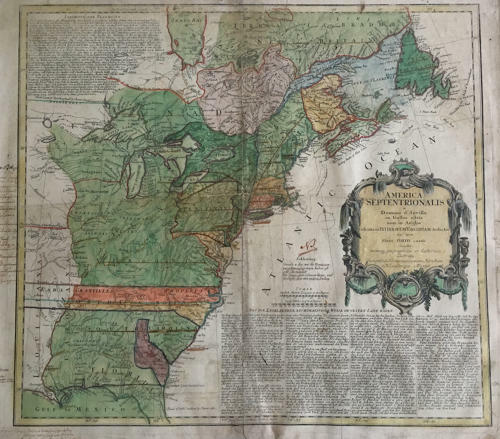 An elegant map of North America showing the colonial boundaries by the heirs of the famous German mapmaker Homann. The various English colonies extend to the Missisippi River, except Pennsylvania. Good detail in the great lakes and the West. The map is in fair condition with the hand written notes from a distant previous owner in the margins, and minor toning and a few age related faults. Presented in a mount ready to be framed.